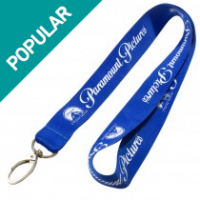 Standard retractable ID pullers are incredibly convenient for badge carrying purposes. Either use it to carry ID's around the neck or wear it around your waist to whip it out where required. These glossy finish pullers are customized and available in multiple colors. 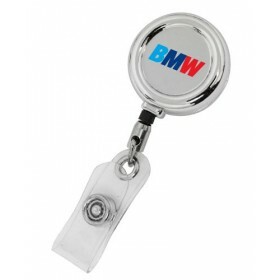 There is enough space on the puller to get your logo imprinted along with any tagline or slogan. The high quality plastic body makes it durable along with the perfect button coupling which keeps it firmly held to its base. An incredible and useful item for office usage. Why go for standard pullers? 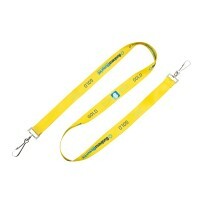 • The convenience of carrying an ID card which can be simply pulled out on a string in order to prove your credentials. 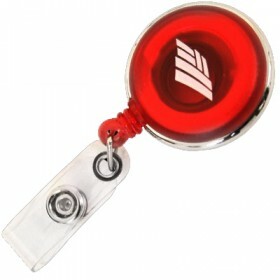 • The retractable badge puller is a very neat way of carrying your ID card because it eliminates strings. 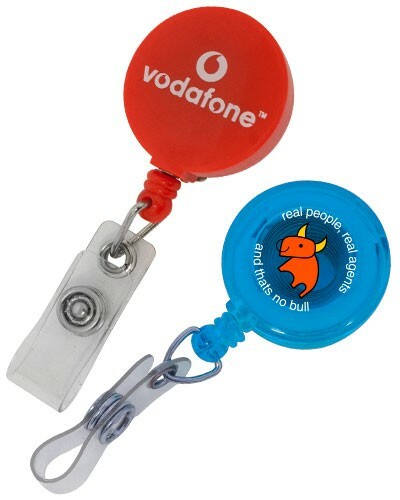 • The ability to print your logo or tag line on the body of the standard puller. Standard pullers offer an extremely glossy finish which can be customized according to your requirements. 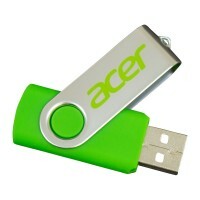 This can include the choice of multiple colors as well. Since they come in high quality plastic, they are also extremely durable. Therefore, you do not have to invest money into constantly replacing these standard pullers. Standard pullers can also be attached to other equipment such as lanyards in order to make it even more convenient to carry around. Since they come with very strong and sturdy buttons and hooks, an employee can certainly choose to suspend his ID card from even a shirt pocket or belt. With a big range of fittings available to be clamped onto the puller these are extremely versatile too, they can have the simple pvc loop with button closure or an actual spring loaded trigger clip that keys and other items can fasten too. 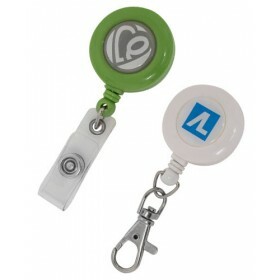 There is two options for printing of your logo onto the puller. 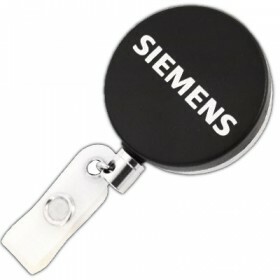 We can print a full color label with a heavy duty epoxy dome finish, similar to a button badge or dome badge finish. Or we can pad print a maximum of 4 colors directly to the badge for a flat finish, both options look great when completed its purely down to your personal preference which branding option you choose. *costs may varie on print options and print colors used in the flat pad printing option. We help you at every point of ordering, and our design team will be able to recommend the best branding solution based on your logo, message or branding required. Sometimes the best looking design is the simple, easily recognizable one. 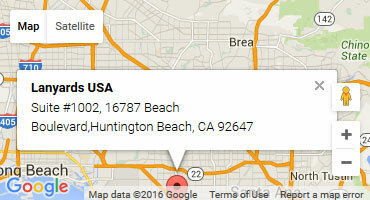 And we'll be able to show you those options prior to you spending a single cent with us.